Specification Rapid identification technique are available to identify accurately and Efficiently the magnetic card, barcode card etc. 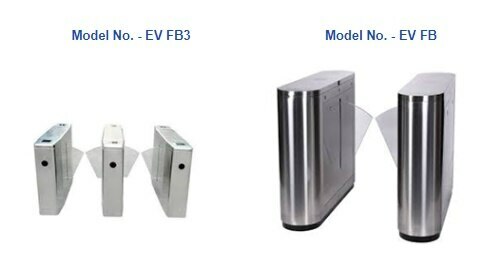 Personalization for all type of ticket readers or contact less antenna. With direction indication, guiding passenger to entry and exit. Real time failure self-detect and alarm indication, ensuring system safe operation and facilitating maintenance and operation. High flow rates of people depending of reader validation reaction speed. Passage width: 20" to 24" for TGF with single flap panels and 32" to 36" for TGF with telescopic flap panel. A dissuasive access control in one or both directions.